A decade after high school, and I’m still being served mystery meat. Oh sure, a label is slapped onto the package, but the secret isn’t in the calorie count. The unaccounted for ingredients—or rather, what’s been done to my food before it becomes dinner—is being quietly and covertly left off of the label. Hungry? No, I could go for an antacid. The realization that the public is left entirely in the dark about what’s going in the pan really churns my stomach. One part cloned meat: Last month, the California legislature passed the first law mandating labels that disclose cloned meat or dairy products. The bill is now marinating on Governor Schwarzenegger’s desk. As for the rest of us, we may be stuck eating Dolly. In 2006, the FDA announced that cloned meat and dairy products are safe for human consumption, and may market the food without any label identifying how it was made. One part genetically modified (GM) food: Just because your box of cornflakes is void of a GM notice doesn’t mean it’s not a frankenfood. The FDA refuses to label food that has been genetically modified, so consumers have no clue when they’re ingesting something that’s been altered. What’s more, the FDA may not even know which food contains GM ingredients; the agency only requires companies developing GM food to voluntarily submit to an evaluation process. One part “organic” seafood: The USDA has yet to set any organic standards for seafood. Odd, then, that “organic” seafood is popping up in the freezer section. 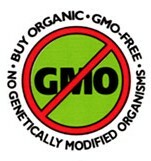 What’s disturbing is that the USDA is allowing imported seafood to be labeled organic despite the absence of a standard. One part food of unknown origin: With recent news of food contamination in everything from spinach to peanut butter to toothpaste, carefully selecting what we purchase has become essential. But with the Bush administration continually delaying country-of-origin labeling on food, we still can’t avoid products from places with dubious safety records. And, finally, one part irradiated meat: Currently, consumers can see when they’re purchasing meat that has been radiated—a practice used to ward off contamination—thanks to a disclosure on the package. In April, however, the FDA proposed a plan to yank this label and allow industry to replace the eerie term “irradiation” with the more palatable “pasteurization.” And along with the word play, the FDA is considering removing the requirement for any label on any radiation that doesn’t cause “material change” to the meat. Whether consumers should even be offered cloned, irradiated and GM food is for another dinnertime discussion. What’s immediately troubling is that without labels and full disclosure, we can’t decide for ourselves whether we want to be eating this food. If you’re put off by Today’s Special, you’re not the only one. Several consumer rights groups have been petitioning the FDA and USDA to halt this blind taste test and begin adequately labeling food. Rebecca Spector, West Coast director for the Center for Food Safety, likened the absence of food labeling to an uncontrolled human experiment. “The public is really the guinea pigs in terms of safety issues,” she says. It isn’t that the government is fulfilling a consumer demand for ignorance. Poll after poll shows that we want to know what’s on our forks. A May 2007 survey by Consumers Union found that 89 percent of Americans want labels on cloned food. In July, the Consumers Union released a survey that found that 91 percent of the 1,000 people polled thought seafood labeled “organic” should reflect fish that is either free or low in mercury and PCBs. Shame that the only thing accurate about the current label of “organic” seafood is the spelling. Knowing what’s in our food and having the power to choose what we eat seems like a basic right. So why, like parents who think they know what’s best for a child, is the FDA and USDA keeping this vital and fundamental information from us? The FDA did not respond to an interview request, but Spector was quick to answer, saying food labels are a “regulatory burden” for the government and for industry, which routinely opposes disclosure. This reasoning is made clear on a USDA web page about country-of-origin labeling: “Mandatory labels are unlikely to increase food demand and likely will generate more costs than benefits.” Treating our health as if it’s a commodity, our government is privileging profit over consumer choice. I’ll be as clear as the government should be: All food packages should be unmistakably labeled so we can make informed decisions about what we put into our bodies. Until then, hand me another antacid and close the menu. Looks like dinner’s already been decided for me. Megan Tady is a National Political Reporter for InTheseTimes.com. Previously, she worked as a reporter for the NewStandard, where she published nearly 100 articles in one year. Megan has also written for Clamor, CommonDreams, E Magazine, Maisonneuve, PopandPolitics, and Reuters.